Always on the go? Schedule Pins quickly and easily using Tailwind's iOS Mobile App! Scheduling content on the go is easy with Tailwind's iOS Mobile Scheduling App! 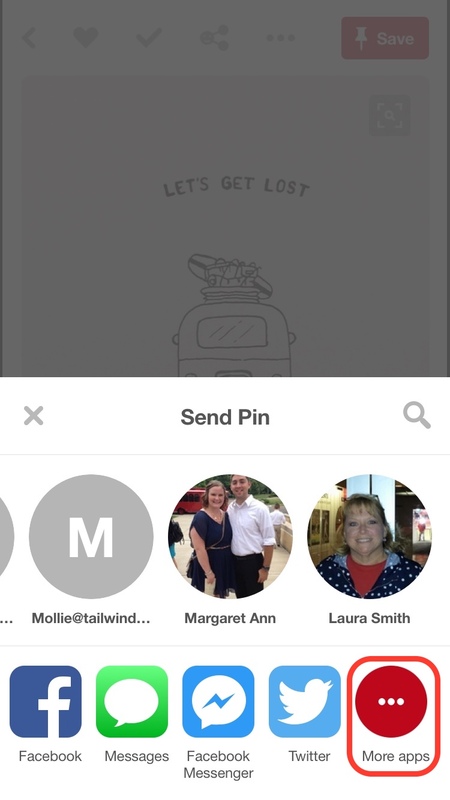 You can use the app to schedule Pins from your mobile web browser as well as directly from the Pinterest mobile app! 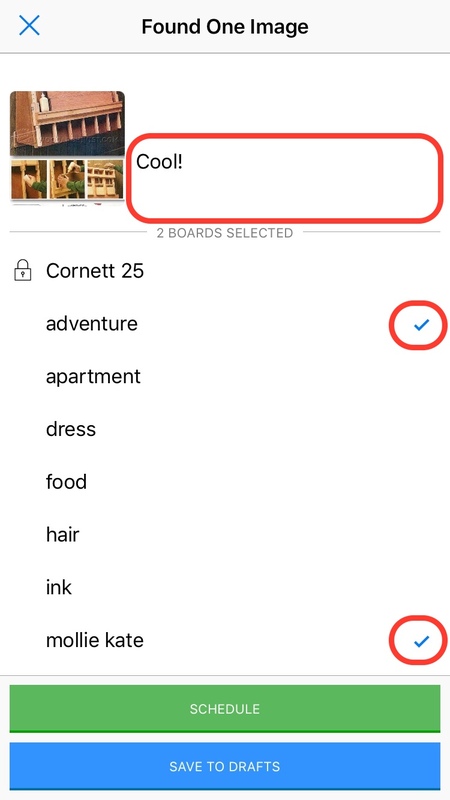 Read on to see how to Schedule directly from Pinterest. Grab the iOS mobile app from the iTunes Store, or from the Knowledge Base Article, "Does Tailwind have an iOS Mobile Scheduling App?" 3. 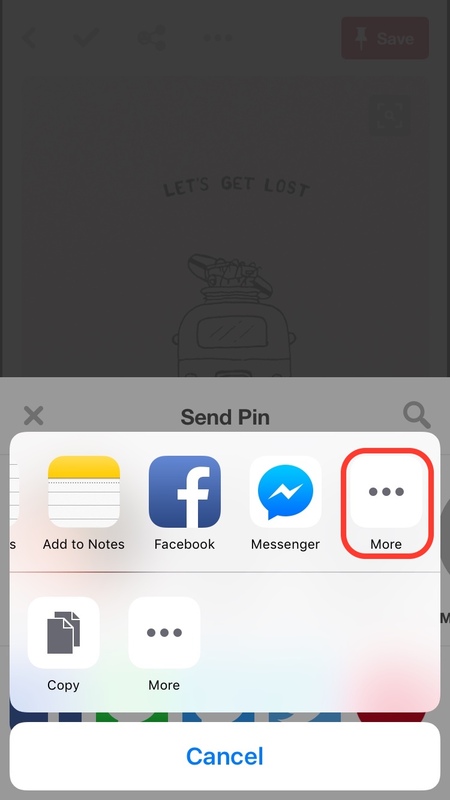 Tap “More Apps” and then tap “More” next to the list of apps that pops up as sharing options. 4. Tap the slider next to Tailwind to turn it on, then use your finger to slide and drag Tailwind up to the top to save time scheduling Pins later. 6. 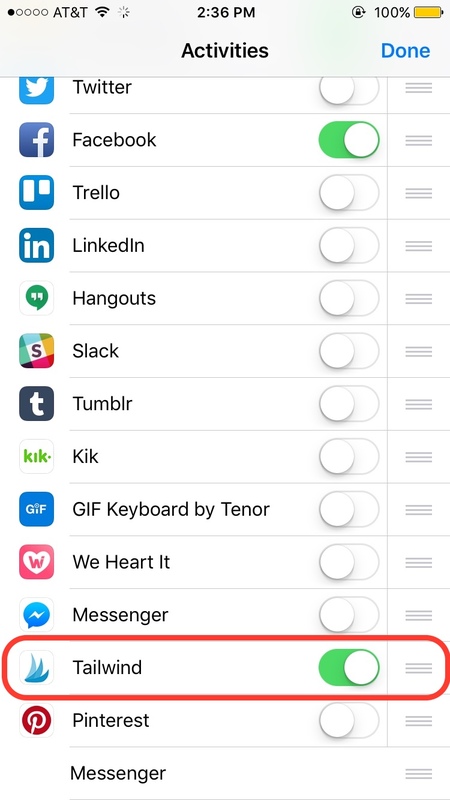 Tap "Done" then tap the Tailwind icon. Edit description, select board(s), and tap "Schedule!" 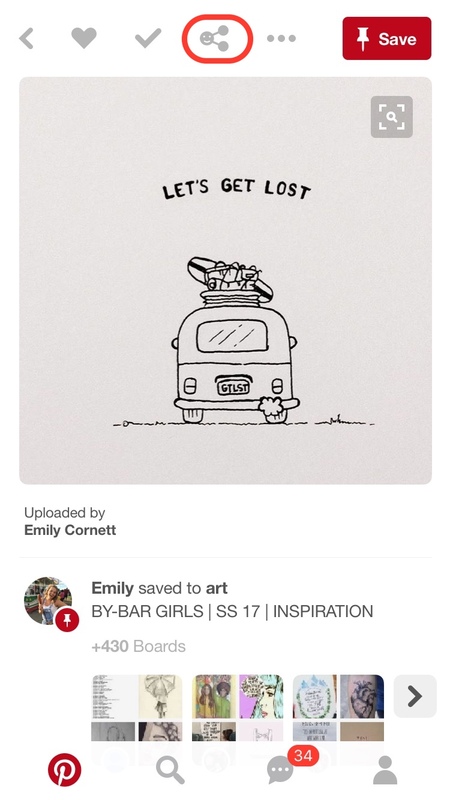 Helpful Tip: If you would like to schedule your Pins later, tap "Save to Drafts"